City Mission was founded in 1902 as a concerned response to poverty in Cape Town. The mission’s founder was Mr Frederick George Lowe, who was also instrumental in the founding of the fresh air camp movement. Mr Lowe was active in the rag-trade in early Cape Town and responded to the poverty he saw on the streets by simply sharing his lunch with the poor. When Mr Lowe began his feeding aid programmes in 1897 he responded as a businessman to the crisis. By 1902 his feeding programme was so extensive in the city and the then slum areas around the city that his organisation which he formally started in 1902 became known as the City Slum Mission. The Mission was active in feeding, nursing the sick and cleaning the homes of the poor with hygiene products obtained from the City Council to combat the spread of disease. 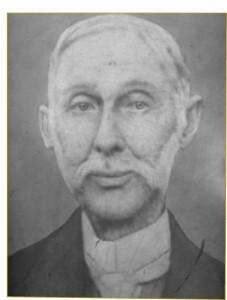 After his death in 1924 Mr Lowe’s organisation became formally known as the Cape Town City Mission. In 1998 Cape Town City Mission began to look beyond the borders of Cape Town to the needs of impoverished communities in other cities and countries. 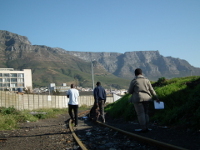 In 2001 Cape Town City Mission changed its name to The City Mission, in line with the new broader vision. In 2007 City Mission went through an organisational restructure to fulfill its original mandate to see whole families come to faith in Christ and local leaders raised to become change agents of the Gospel in their own communities or affinity groups. To this end, City Mission believes that prayer for the desperate situation in which people find themselves must be accelerated and our hands strengthened so that families will be transformed and communities made whole. 2014 sees the 112th year of existence for City Mission, a record of longevity we can take pride in. City Mission continues to render services and change the lives of countless individuals in our City and beyond its borders. Our work in impoverished communities has never seized despite many challenges along the way.